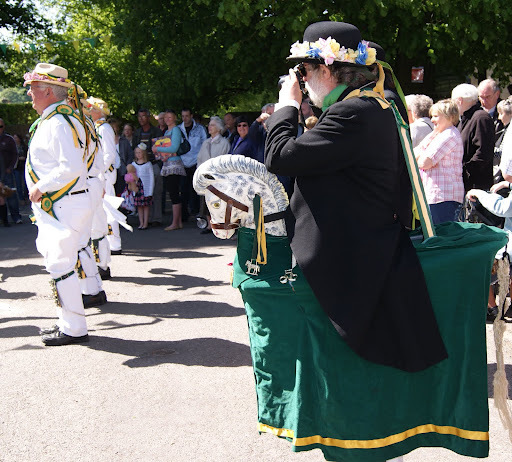 Of Mirth and Morris Men. 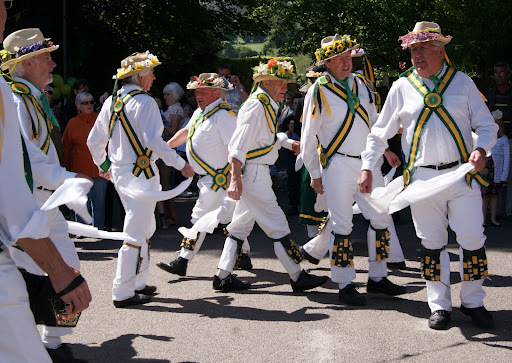 English “morris” dancing is the earliest known example of biological warfare. Mediaeval documents recently discovered by historians indicate that villagers who showed the early symptoms of bubonic plague were dressed in colourful outlandish costumes with bells tied to their legs and sent to neighbouring hamlets to perform their macabre ritual. It is quite remarkable to note that, although little or no knowledge of germs or viral infection was existent at the time, the fact that waving handkerchiefs full of plague infested mucus in the vicinity of one’s enemies had a detrimental effect was commonly known, particularly in the south of England. It would also seem that this was used as a convenient way of ridding the community of its worst musicians. 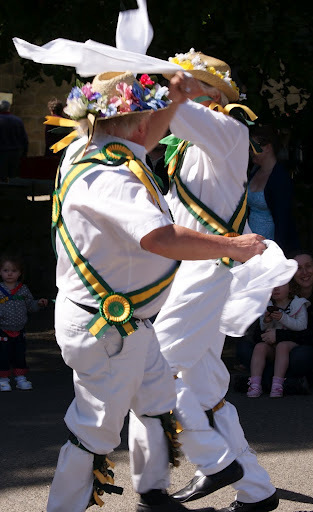 Research by scientists has shown that the average career of a morris dancer would have lasted about two weeks, which would account for the musical and terpsichorean simplicity of the “performance” and the pitifully low level of skill involved, which is still in evidence today in some areas, faithfully reproduced. Thine unmollied cludge doth need a good forking, But ne’er could I fork such a thing, Though you may have forgotten, The stench is so rotten, Forsooth! It hath withered my string. Thine unmollied cludge dear should ne’er be unleashed, On good gentlefolk such as I, Its malodorous bent, Could ne’er be heaven sent, And it bringeth a tear to the eye. 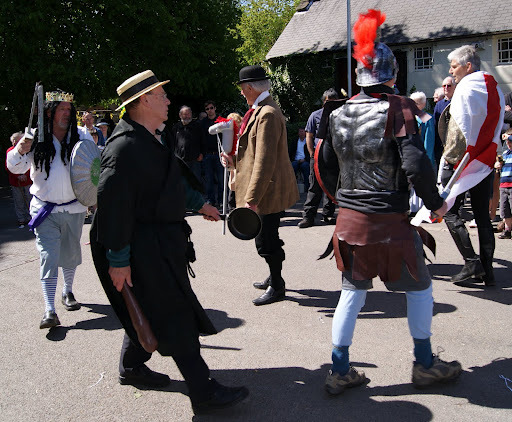 The Ancient Guild of Cludge Molliers was formed in 1404 at a time when, to molly one’s own cludge, particularly in public, had become so socially unacceptable that the perpetrators became outcasts in their own communities, sometimes even to the point of joining the village morris dancers in their depraved activities. This was mainly due to the puritanical influence of the church on society, which could account for the noticeable lack of biblical references to the mollying of cludges after about 1356. Consequently, by the late 14th century it had become necessary for the outlawed practice to be carried out covertly by skilled, professional cludge molliers who usually preferred to work under cover of darkness, often leading a double life to avoid detection. Indeed, the church was so effective in its effort to stamp out cludge mollying, it is virtually impossible to find any written reference to either cludges, or the general act of mollying in its original sense today, except in the word “mollycoddle”. Obviously to coddle one’s cludge is very different to actually mollying it, especially in public, and the church, for all its faults, recognised this. It has been suggested by some historians that a certain amount of clandestine coddling was popular among the clergy at that time, and so would consequently have been viewed with somewhat more lenience than outright mollying. However, it should be noted that the word has now completely lost its original meaning, no doubt in part due to religious zealots misusing it loudly from the pulpit, as with the word “molly” itself, which had taken on a completely different meaning by the early 18th century with which we are not here concerned. My Johnny’s gone a-mollying oh, across the raging sea, My heart it is full sore because he’ll not be back for tea, My cludge it yearns for Johnny’s fork, and more so for his string, But my Johnny’s gone a-mollying oh, and won’t be back ’til Spring. He’ll molly here, he’ll molly there, where they can’t understand us, My Johnny’s gone to molly hard, the cludges o’er in Flanders, Ere he returns, one distant day, his kith and kin to fettle, Be sure, I’ll bid him welcome home, and then put on the kettle. I wish I were a blackbird, and could to my sweetheart fly, But how would dearest Johnny know that soaring bird was I?, My cludge will wait, and so must I, despite the grief and pain, For my Johnny’s gone a-mollying oh, across the raging main. In order to preserve what was by then a dying skill, and maintain the necessary secrecy to appease the church, yet keep the public’s cludges well mollied, the Guild of Cludge Molliers came into existence. Local legend has it that the formative gatherings were held in the back room of “Ye Forke and Twine”, a busy ale house in late 14th century Brampton on the site of which now stands “O’ Clackerty’s Bar”, quite close to the original Brampton castle by the sparkling river Hipper. Naturally, little is known of the actual membership, save for rumour and speculation, but evidence of some structure of apprenticeship can be found in J. M. Blunt’s “Folke Songes of Olde Englande” published in 1892. 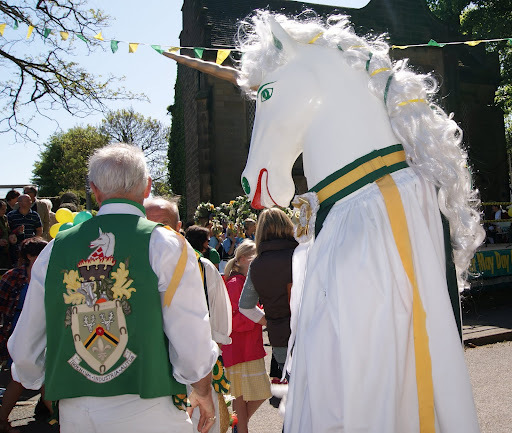 The only known reference to female cludge mollying is in the relatively unknown song, “Come Molly my Cludge, Oh Damsel Fair“, but this is generally regarded by scholars as little more than a perverse fantasy, or at best, the mediaeval idea of comedy. The practice has now of course completely died out in the U.K. (along with life-size corn dollies) since the invention of modern string, and more recently the steam engine. However, it is rumoured that mollying still continues in parts of Europe, albeit in a somewhat more symbolic fashion than hitherto, due to the lack of cludges, but nonetheless poignantly. The northern French town of Couilles to this day boasts an imposing granite monument to “Les Molliers de la Clourge” in the centre of its picturesque market place. ~ by meanderingsofthemuse on May 3, 2011. Golden nuggets here Shani, quite the giggle.